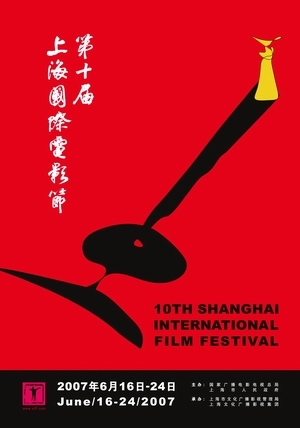 Seven South Korean features and one short film will be presented at this year’s 10th anniversary edition of the Shanghai International Film Festival. China’s top film event opens June 16th for a nine-day run. Of the seven features, two have been selected in competition sections. Director LEE Jun-ik’s Radio Star (2006) is nominated for the Jin Jue Award, while KWON Hyung-jin’s debut feature For Horowitz is nominated for the Asia New Talent Award. In the Panorama section a variety of genres in Korean film will be showcased including comedy sequel Mapado 2: Back to the Island, director YOO Ha’s gangster-drama A Dirty Carnival, gothic-cult-musical Night Ballad For Ghost Theater, melodrama Lost in Love starring SUL Kyoung-gu, and youthful comedy Miracle on 1st Street by YOUN JK. The short film selected is Soeyoun by KIM Jin-man, an environmentally-themed work using animation techniques. Korean star LEE Jun-ki (King and the Clown) will be present at the opening ceremony for the festival and has been named recipient of the Overseas Star Award.